Elafonisi and Balos Beaches in One Day? We would love to see both Elafonisi Beach and Balos Beach, but we only have one day to commit to this. Is it possible to both if we get started early (departing from Chania)? Am I trying to plan too much? They both look incredible and I thought we could spend the morning at one, visit the monastery on the way to the other and grab lunch, then the afternoon at the other beach. In my mind it sounds doable, but realistically...I'm not sure. We don't mind driving the rocky roads or climbing down to get into Balos. If you do think we should only do one, which one do you recommend? We are two active adults, no kids (so that does not need to be considered). Well, technically it is possible, if you start really early and take a 4WD. It would be a rush, though. Best to slow down and enjoy Crete. Swim and lie and laze about in the most crystalline waters you have ever seen in Balos Lagoon. Allow the wind in your hair, the salt on your skin and breathe...! Driving from Chania to Balos is 55 km, some of which is on a dirt road. From there to Falasarna is 18 km, so your return trip will be 125 km (78 miles) and achievable comfortably in one day. You could have lunch in Kaliviani at Gramvousa Taverna (see below) to enjoy the day and make sure you take in the ancient ruins at Falasarna, just behind the beach. 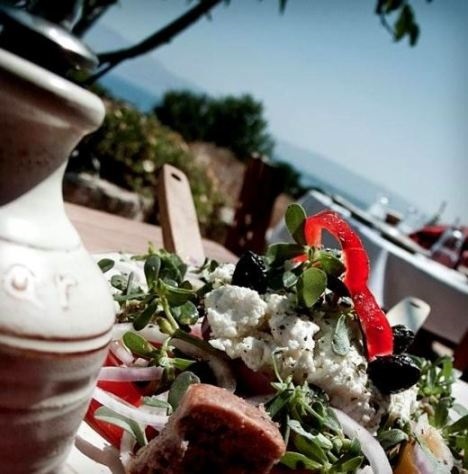 If you wanted to enjoy a seaside taverna try Vasillis, Spilios or Kyma at Falasarna. The town of Kastelli-Kissamos is on your route, it is a very small, pleasant Greek town and good for a stop for morning coffee or supplies or even dinner by the sea – try Papadakis Taverna on the sea front.